Essential oils derived from herbs and other botanicals have an array of applications from pleasant scents to improving skin or relieving mild complaints and aches. In recent years, the industry of producing these oils has blossomed, but both rising costs and ambiguous sources render the idea of DIY essential oils appealing. If you’ve decided to grow herbs for this purpose, you’ll be happy to know that few types of plants are more accommodating than they. The article below provides a few tips and guidelines, although which herbs you choose to grow is entirely your decision. For most plants, a general rule of thumb is that soil should be fertile. In today’s Western cultures, this usually means loading up on fertilizers, whether from the local farm or the hardware store. However, herbs favor poor soils. While you may achieve lush and leafy growth with chemical or natural fertilizers, the organic compounds for which you are growing those herbs will be less potent. You should prepare your soil by ensuring that it is loosened, well-drained, and mineral rich. Herbs such as lavender and rosemary come from the Mediterranean Basin, which is known for sandy soils, semi-arid climate, and hot summers. Although they will thrive in many growing zones, adding a bit of sand to the earth and avoiding the temptation to overfeed or inundate them will ensure better results. If you’ve never gardened before, you may also be tempted to protect your new investment with herbicides or pesticides. Avoid this. Chemicals of this nature tend to permeate the plants you wish to protect, and when you harvest your herbs, those pesticides and herbicides come into your kitchen. 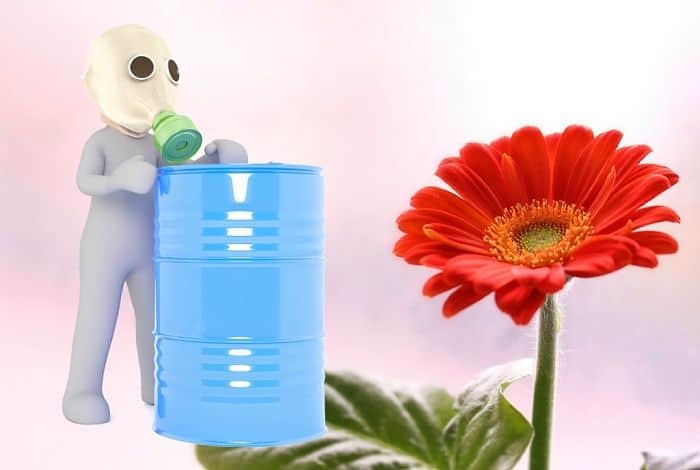 While some gardeners may be comfortable applying insect deterrents to their flowers, nearly all will agree that these chemicals do not belong in a garden of consumables—whether they grow eggplants and tomatoes or kitchen herbs. The good news is that most herbs grown for your purposes are insect repellent. Those that are not can benefit from being neighborly with those that are. Companion planting is a traditional answer to most issues of insect predation and other unwelcome garden visitors. You can even add the bright blossoms of marigolds to your herb beds. Not only do insects avoid them, but they are also prized for their ability to heal minor cuts and fade bruises. Making an essential oil or salve with the bright flowers is simple and beneficial. Now, for a critical consideration: where will you plant? If your prospective site is too shady or wet, your herb garden may not prosper. The beauty of herbs is that they can be grown nearly anywhere, as long as they aren’t inundated and they receive enough sun. While you may decide to install your new herb garden in a traditional plot, herbs thrive in container gardens, too. 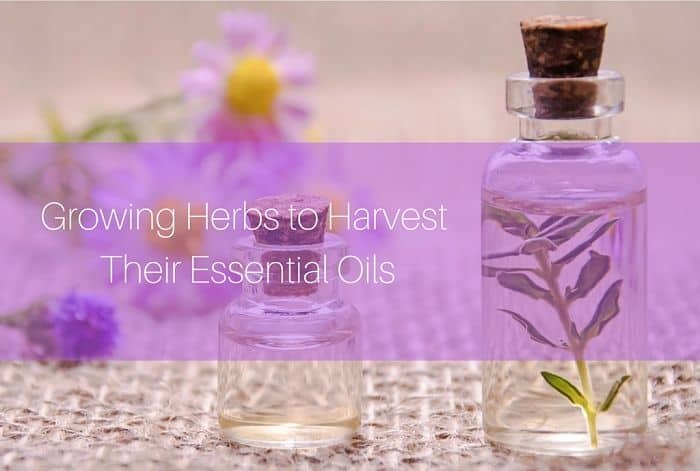 Most of the species that are harvested for their essential oils are considered annuals or biennials—which means you’ll want to replant every season or so. However, annual herbs are relatively shallow-rooted and will happily thrive in soil depths as shallow as six or eight inches. That means that you can have a row of prefabricated window and deck boxes or use whatever containers are on hand—coffee canisters and large yogurt containers will do in a pinch. Make sure they are well drained and use soil that isn’t overly enriched but does have some nutrients since your herbs won’t be able to draw minerals from the surrounding soils. Even if you do have an ideal plot in your garden for an herb bed, there are a few plants you won’t want to release into the freedom of open soil. Any plant related to mint will grow out of control. Lemon balm and lemon grass also do best with the restriction of a container. Essentially, depending on what you’d like to plant, you need to plan space and growing conditions carefully. Otherwise, your neighbors will be mowing mint as well as their lawn next year. The Romans loved it so much, that all words associated with washing are tied to it. You can eat lavender blooms or include essential oils in small amounts in a soothing tisane. One general property of the plant is a calming impact, but it’s also useful for purification when used topically. While it’s perfect for cooking, basil oils also condition the skin when applied topically. It’s also an accommodating herb in the garden and, if allowed to bolt, provides a feast for pollinators with a myriad of tiny white blossoms. Long before harsh chemical shampoos, rosemary oil was used to deter lice and fleas, and to condition both scalp and hair. 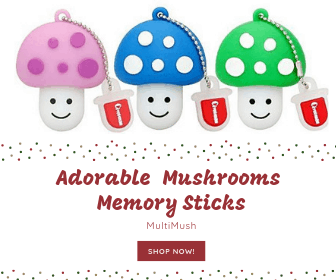 It has a slight astringency, so use diluted in another pure oil. There are few other types of plants that will be as accommodating and rewarding as herbs. Most of those you’ll want for their essential oils will also work well to enliven your cuisine—cilantro, lemongrass, mint, thyme, and oregano are both tasty and beneficial. They can be grown in the most makeshift circumstances, prefer un-amended soil that is reasonably dry and will take as much sunlight as you can offer.